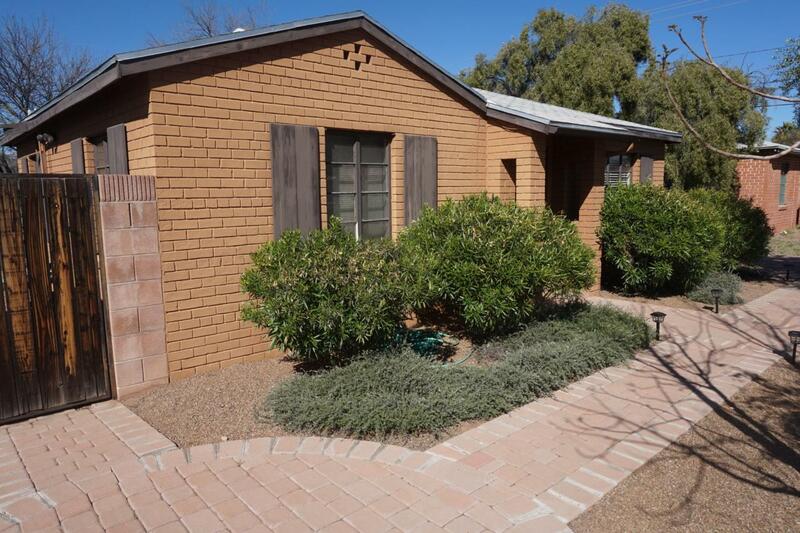 Charming Brick Bungalow in Blenman-Elm Historic District. 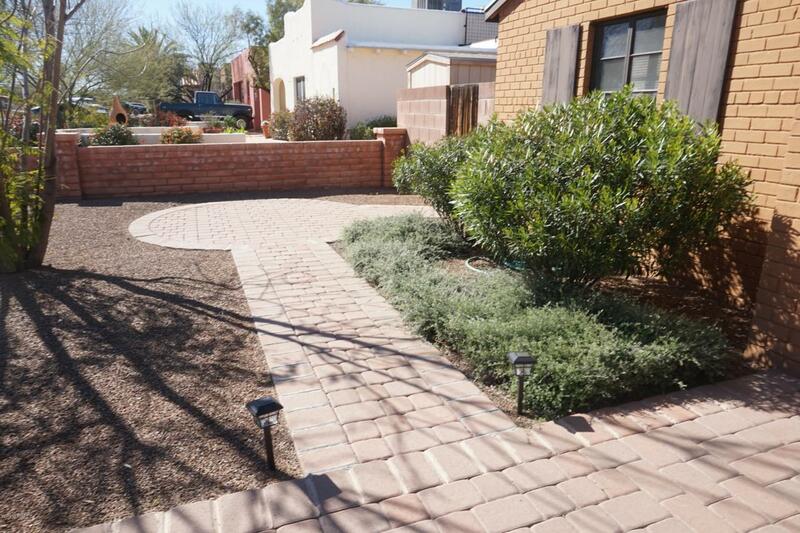 Brick wall and columns surround front yard w/mature cactus and shrubs; paver driveway and entry walk. Gleaming hardwood floors. 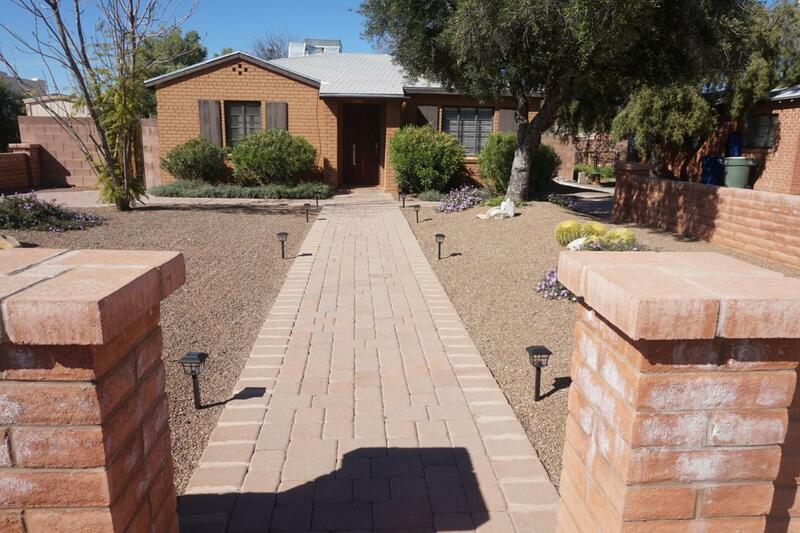 2 Bedrooms, Hall Bath w/pedestal sink & tub, Living Room open to updated Kitchen w/maple cabinets, Dining Area. Bonus Room off Kitchen, Laundry hookups in closet. Newer HVAC 2015. Amazing North facing backyard w/extended brick patio, curved bench walls, lush landscaping, citrus trees, turf, storage shed, block wall. Close to U of A, Univ. 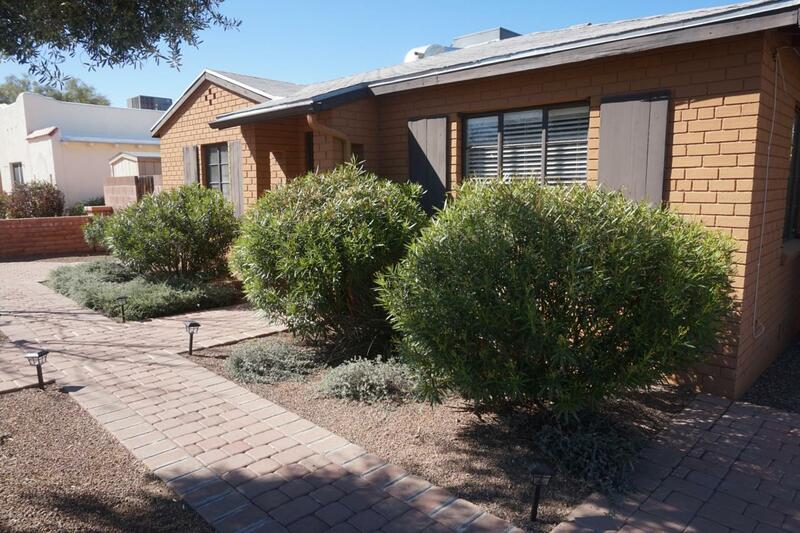 Medical Center, Himmel Park, schools, shopping, dining. Owner occupant eligible for historic neighborhood property tax reduction.